We have reissued the original Version 1 Big Muff and it’s dripping with vintage Electro-Harmonix DNA and tone. Dubbed the Triangle Big Muff because of the layout of its Volume, Sustain and Tone controls, this is the one that started it all. The new Triangle Big Muff is a faithful re-creation of the original circa 1969 circuit now housed in a pedalboard friendly, die-cast chassis. 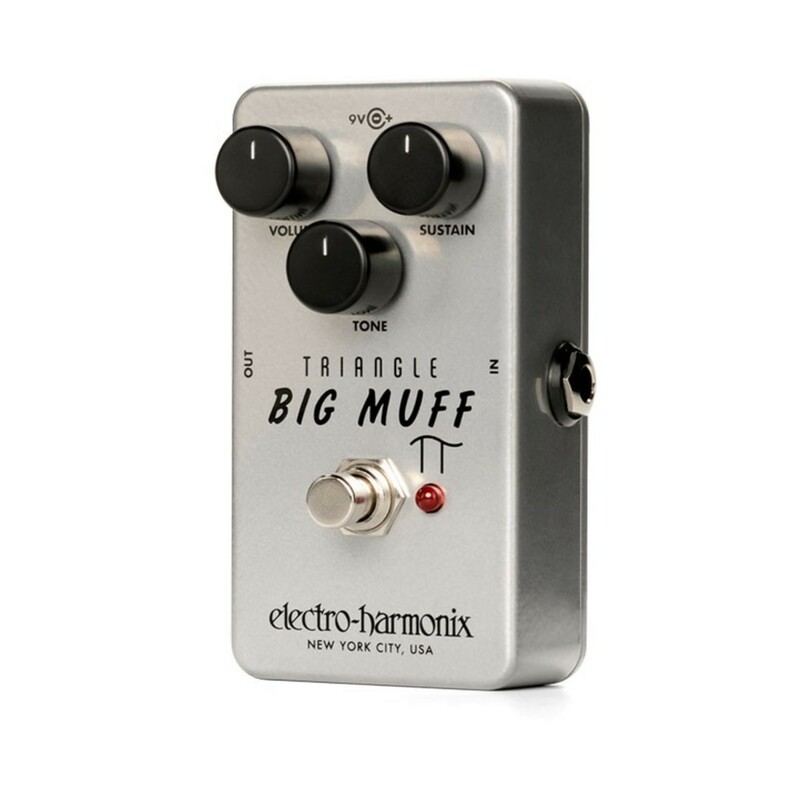 The Triangle Big Muff features the following nods to convenience: an LED to indicate effect status, true bypass switching and the option of being powered by a 9-volt AC adapter.